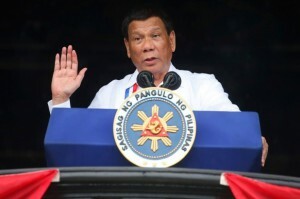 The Philippines under the leadership of Rodrigo Duterte has officially withdrawn its membership and recognition of the International Criminal Court (ICC) as of Sunday, March 17. The decision was finalised over the weekend when the Supreme Court of the Philippines refused to issue an injunction proposed by human rights activists. The Philippines follows in the step of Burundi, a former member of the ICC, who withdraw its membership and recognition of the international court in 2017 after the Hague opened an investigation into the government’s crimes against humanity, reports Time. Recently, United States officials have also offered strong opposition to recognising the ICC as a legitimate judicial body. On Friday, March 15, US Secretary of State Mike Pompeo declared that any ICC official investigating war crimes by US forces would be denied visas and barred from entering the United States.